Money may not matter, but it makes a difference when it comes to your lifestyle. Almost every family deals with some money issues from time to time. Moving forward and affording what's necessary in life can be tough. 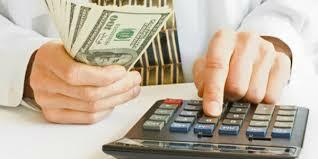 However, there are a few tricks that can help with those financial challenges at times. Try these tips to see through any financial hiccups as you raise a family. Be honest about your income. Document your average earnings each month. Create a budget that ensures that you spend less than you make. This concept seems simple at first, but it's easy to quickly spend a lot of money on desires every month. Cover your household necessities first, such as rent and electricity. Put aside some money for entertainment too. It's possible to live life to its fullest without spending too much money. A trip to the beach or walk at the park are relatively inexpensive pursuits, for example. Ideally, save about 10 to 20 percent of your income each month. These savings should be considered off limits to casual spending. Earmark them for a vacation or emergency purpose. In fact, many people create multiple savings accounts connected to their checking accounts. Transferring money between the accounts is simple, which encourages more saving through every paycheck. If an emergency does arise, you have enough money in savings to cover that issue. Save up funds again to replenish your accounts in the future. Life can throw a curve ball at you, and your current savings won't cover the costs. There's no harm in taking out a small loan, such as from loanconnect.ca/. Pay back the loan as quickly as possible so that interest doesn't accrue. When you're responsible about the payback process, loans are valuable resources for your household. Be aware of due dates and interest rates. Your credit is the basis for these terms so verify that your history is current and accurate. A trick that many people appreciate for their finances is hiding surprise income. A bonus or tax refund are good examples of these income types. Don't count them as income, however. Tuck them away in a savings account so that it accrues interest. If you ever need the money for a necessity, it's a comfortable buffer for your budget. If a catastrophe strikes the family, such as a lost job or illness, there are other financial pathways to take. Don't be afraid of bankruptcy or other relief outlet. You deserve a second chance at a financial life. Starting over may be what you need to move ahead and gain your footing back.